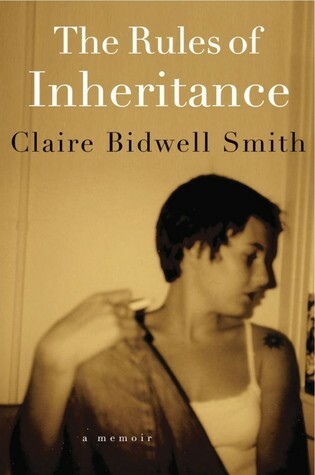 I approached this book, The Rules of Inheritance, by Claire Bidwell Smith, with trepidation. The author of this memoir was fourteen when her mother and father were both diagnosed with cancer; I was fourteen when my mother was diagnosed with cancer. And yet as I was reading this book, while I related to Claire’s grief (my mom died two years ago), I find myself relating more with Claire’s mother. I was diagnosed with cancer fifteen years ago, and as I was reading this book, I wondered what kind of mother I will be to my two young daughters if my cancer ever returns. Claire writes her memoir in stages; the stages of grief. Claire repeats over and over to herself, “My mother is dying. My mother is dead.” No matter how many times she thinks this, however, she really does not think her mother will die. When she is rushing to the hospital to see her mother one last time before she dies, Claire looks up a friend along the way. She decides to spend the night with the friend instead of continuing her journey to see her mother, and that night, her mom dies. Claire regrets this decision to this day. Claire could have been the girl who goes to college in Vermont and has a hippie-like boyfriend with whom she drinks coffee and takes long walks in the woods. This girl disappears almost before she even exists. Her mother’s death interrupts this path for Claire, and instead she finds herself in New York City waiting tables and living with an alcoholic boyfriend who was rumored to have killed his own sister. Claire finds herself totally alone in the world after her father dies. She look for her mom everywhere; from the depths of the ocean to an abortion clinic. She calls for her mom over and over, but her mom never answers. Throughout ten years after her parents’ deaths, Claire experiences extreme bouts of depression; without her parents, she feels all alone in the world. Her grief cripples her, and stunts her growth. It is only through allowing herself to feel her grief that Claire is able to accept the loss of her parents. She is able to forgive herself for not being crippled by grief any longer; to live her life as it should be lived. At many points in this book, Claire wrote about her emotions in a way that screamed to me, “She gets it!” I have been struggling with a grief of my own since my mom died. Grief is indeed not linear; the stages of grief can be experienced in order, all mixed up, or at the same time. No one experiences grief in the same way. In writing this book in stages of grief rather than a chronological story of her grief, Claire writes about grief in a way that those also experiencing grief can completely relate to. Disclosure: I was compensated for this BlogHer Book Club review but all opinions expressed are my own. Join the discussion at BlogHer Book Club! ← I’m at Sweet Peas & Buddies today! Yes, it is. I felt so bad for Claire, losing both her parents at such a young age. I agree that grief is not linear. Sometimes just when I think I hit the acceptance stage, I go backwards. Throughout most of my mom's battle (6 years from diagnosis) I lived in the denial stage. I kept telling myself that she is fine and will get better. Even at the very end, I was envisioning a few months of traveling (not too far but some) and spending time together once she was no longer bound to treatments. Unfortunately, her first trip to my house was also her last. It was a hard pill to swallow since I was so comfortable in the denial stage. Sorry for such a long comment! Great review, I think I may have to read this book but it will definitely take me time because I'm sure the tears will be flowing! Wow Ginny..great review! I love how you brought each step of the grieving process into your review..they are all so important to moving on and becoming a healthy individual. I can't imagine how scary it would be to have cancer and have children..I pray I never have to know and I will pray that you never do either Ginny. Thanks for sharing! Thanks, Shari! This book also helped me understand the stages of grief I've experienced…and that it's okay to reach the acceptance stage! It sounds like a sad book. I giggle when I read a book and end up crying. This book sounds like it might produce a few tears. Yes, I will admit I did need some tissues when I was reading The Rules of Inheritance!